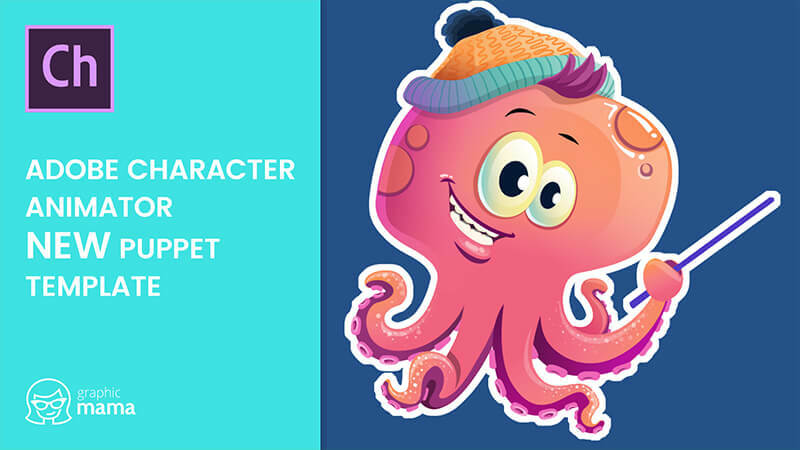 A cool octopus Adobe Character Animator puppet template, fully ready with pre-made triggers. 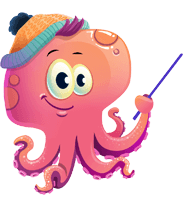 Marty Octo-Smarty can point with a teacher's stick, wave, give thumbs up, express emotions, and lipsync your words. 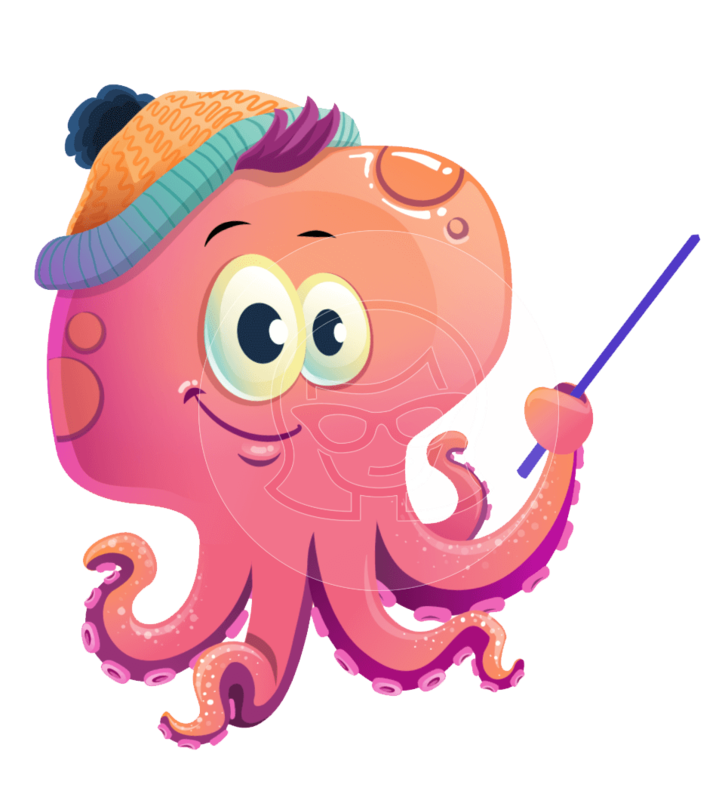 With his cool hat and lovely character design, he will certainly make your viewers fall in love!